Each year we reserve the best lots of Cabernet Sauvignon for CYRUS and Alexander School Reserve wines. We selected the very best barrel of from those lots for this special wine. This barrel of wine was produced from a single thirty five year old vineyard with low yielding, gnarly, mature vines that produced loose clusters of pea sized grapes with one or two seeds. This led to great color extraction and concentration without much bitterness. This wine showed tremendous structure and concentrated fruit along with complexity and balance. We aged the wine for 32 months in a single new French oak tight grain barrel to slowly release the complexities while allowing the wine to develop and soften. 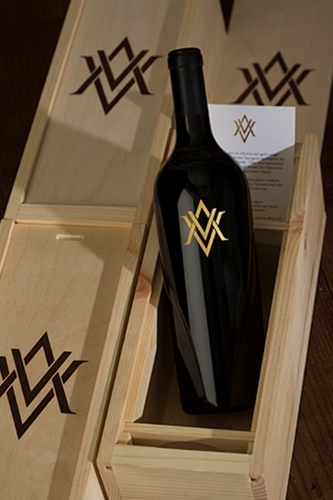 This deep purple hued wine has intense aromatics of eucalyptus, black cherry, oak, vanilla and licorice. Still young the 2012 has big, ripe flavors of red and black cherry, licorice and red plum. Great acidity balances the concentration and long finish of this once in a lifetime selection.